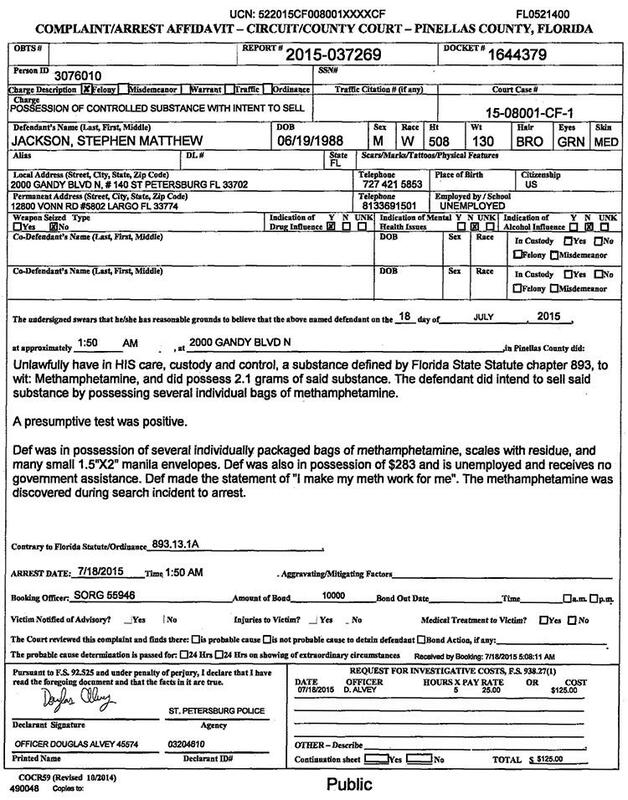 JULY 20--In an ill-timed statement of entrepreneurial defiance, a suspected Florida drug dealer declared, “I make my meth work for me” after his arrest on narcotics charges. Stephen Jackson, 27, was busted by St. Petersburg cops at 1:50 AM Saturday, according to an arrest affidavit. Jackson, seen at right, was found with individual bags of methamphetamine that he planned to sell, cops allege. He also had “scales with residue,” marijuana, a syringe, "a glass pipe with residue," and “many small 1.5” x 2” manila envelopes” in his backpack. The unemployed Jackson--who “receives no government assistance”--was carrying $283 when nabbed. 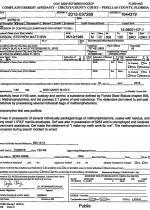 While in police custody, Jackson “made the statement of ‘I make my meth work for me,’” reported Officer Douglas Alvey. Jackson is locked up on $10,300 bond on the drug counts. He has also been charged with violating the terms of a two-year probation sentence he received in May following a conviction for possession of methamphetamine and drug paraphernalia.